Place your freezer repair service in our hands. If your appliance is not up to par, then it would be our pleasure to arrive to your home to take an assessment. At least then you would know exactly what the problem is, and you could be on your way to having it fixed. We treat each Concord CA customer with respect because we appreciate you welcoming us to your Concord CA home. We value your trust and we take our responsibility of caring for your appliance seriously. Pick up the phone now to reserve your spot on our next available time slot. 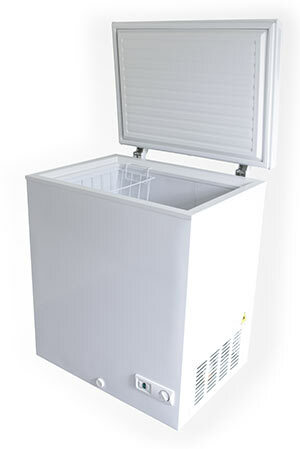 Freezer repair in Concord CA and freezer parts can be available to you today by simply making a quick phone call. Take your old fully functioning kitchen back as soon as possible. Why wait a moment longer? Is your freezer unevenly keeping cold air? If so, it may be due to a defect in the door gasket. It could also be due to a sealed system leak, which may happen if the door hasn't been kept tightly shut. The problem occurs as humid air that's floating around in the room can enter into the freezer through the gasket tear, weak seal, etc. This humid air interacts negatively with the freezer's cold evaporator coils. The interaction causes condensation, which then freezes. A defective door gasket is a cheap and easy fix, but a sealed system leak is serious.